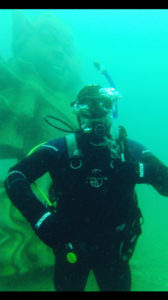 “After a few years of doing holiday try dives I decided to look into a PADI open water course. In 2016 I contacted Stellar Divers and started my journey Once i’d completed all the confined water skills I then went onto complete my open water and Dry suit course at Capernwray. From then I realised how much I enjoyed being in the water so knew I had to continue my training which I have now done all the way up to Rescue diver and Master Scuba diver. My 2 favourite speciality dive courses were the Search & Recovery and DPV (Diver propulsion vehicle).I have now logged over 50 dives and look forward to starting Divemaster training. I would recommend Stellar divers to anyone; their tuition is so professional and your always made to feel welcome whether in the water or in the pub on a diving trip. Thanks Simon, Vic and all the team. “I first started diving in October 2002 with my first experience at a pool in Lincolnshire and not really looked back since that cold October Morning. From there I completed my Open water qualification at Stoney Cove and then onto Advanced Open water and Dry suit and EAN Specialities. 16 years later and various diving around the world I decided that it was time to finish off my MSD. Rescue Diver at Capernwray Quarry, (How long was that rescue swim!) Boat Diver in the Farne Islands (The seals were very playful) Wreck and Deep Specialities at Stoney Cove. All of these Specialities and the rescue course certainly advance your skill base and make you more confident in the water. Wreck and Deep diving are my favorites, you don’t always get to see very far in front of you but what you see is always worth it. 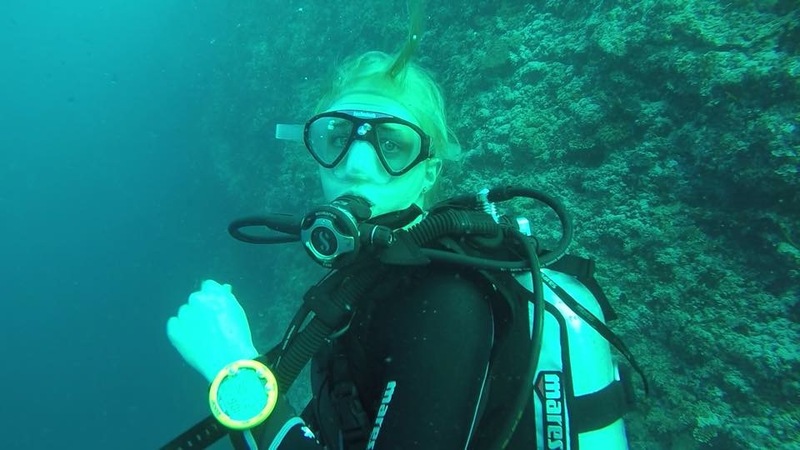 “I had my first experience of diving on a try-dive in Turkey in 2013 and was absolutely gripped! I soon got in touch with Stellar Divers and started my Open Water course. A cold and ‘interesting’ vis trip to Blue Lagoon Quarry was certainly a shock to the system but was the perfect training ground and started my love for English diving. 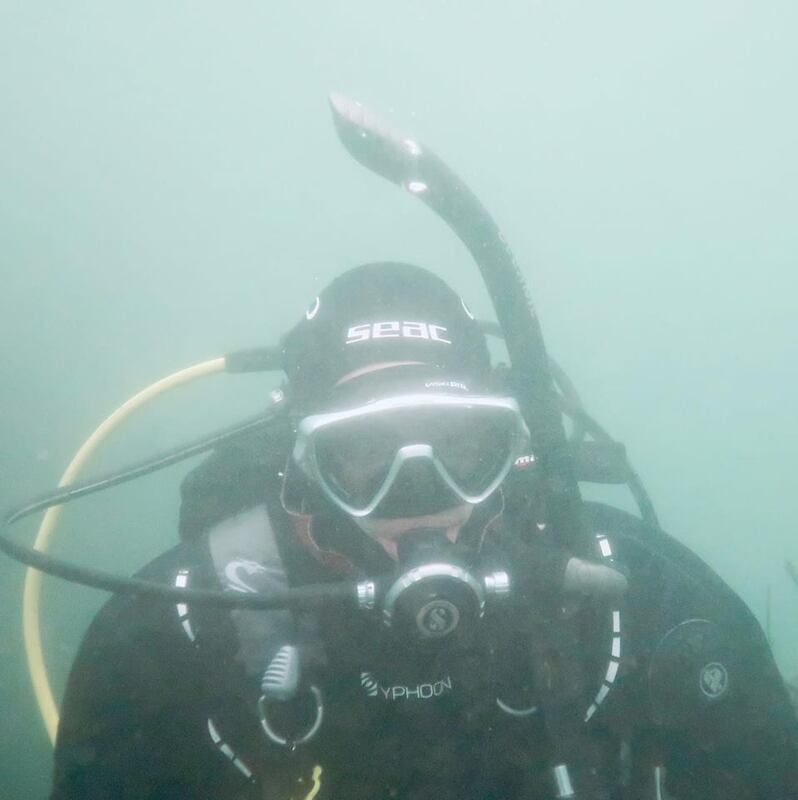 With my Advanced Open Water completed in Capernwray Quarry and my Rescue course completed in the open sea off Plymouth I would highly recommend UK diving and all it has to offer! 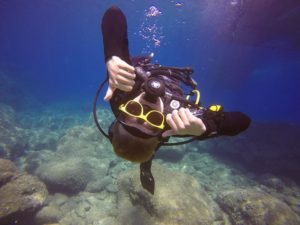 Completing the many different specialties that can make up the Master Scuba Diver course was great fun and allowed learning in specialist areas to broaden my diving. My favourite specialism, and the last to get my MSD, was the search and recovery course! The weekend was spent on several real recovery missions thanks to ‘misplaced’ lift bags in Lord Lucans head (cheers Simon), and lost reels! I simply can’t recommend Simon, Vic and the team at Stellar Divers enough, with not just amazing diving tuition and support but also many laughs and great trips together. “It was the summer of 1963, when everybody called me Baby and it didn’t occur to me to mind. It was before Kennedy got shot, before The Beatles, when I wanted to join the Peace Corps and I didn’t think I’d ever find a guy as great as my dad… Sorry, wrong story!! My first ever scuba dive was in Cyprus in 2000. 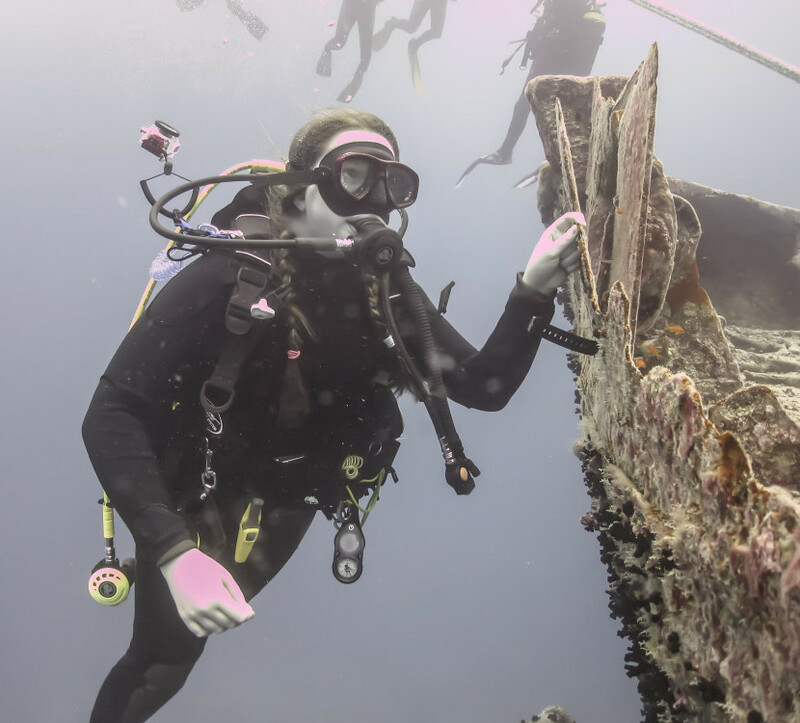 The guys at the dive centre were telling stories of this great wreck dive in Larnaca, but to do it you had to be qualified to dive deep and be experienced – The Zenobia. 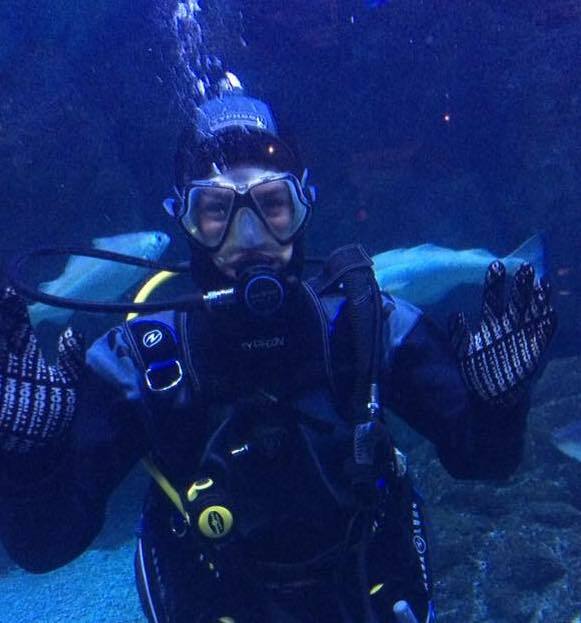 I started diving after receiving a Discover Scuba Diving (DSD) as a Christmas present in 2015 with Stellar Divers. I’ve progressed since then to qualify as an open water, advanced open water and onto Rescue Diver. As well as these core diver qualifications, I’ve also successfully completed 5 PADI specialties. As a consequence of all this training and managing to clock over 60 divers I have been awarded the certification of Master Scuba Diver. I now look forward to March 2019 when I can start my Divemaster course with Stellar. My underwater history includes diving in many of the UK’s inland dive sites, but the best has to be diving off the coasts of Turkey, Rhodes and recently around the Farne Islands with grey seals. In the future I wish to travel further and deeper to see more marine life and wrecks. Many Thanks to Vic & Hotch at Stellar Divers. 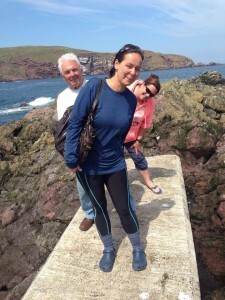 After a bad tourist experience of diving in my teenage years, I vowed never to dive again. However, I was convinced to give it another try, and after a successful DSD session with Stellar Divers I was hooked. 3 years later, with a lot of support and encouragement from Vic and Hotch, I’ve progressed to start the DMT course. I’m a big fan of warm water diving – which fits in well with my love for travel and adventure!! I especially enjoy looking out for the aquatic critters too. I love diving almost as much as I love dogs; from an early age I’ve had a burning desire to swim with the fish!! And Now!!! Well I can. 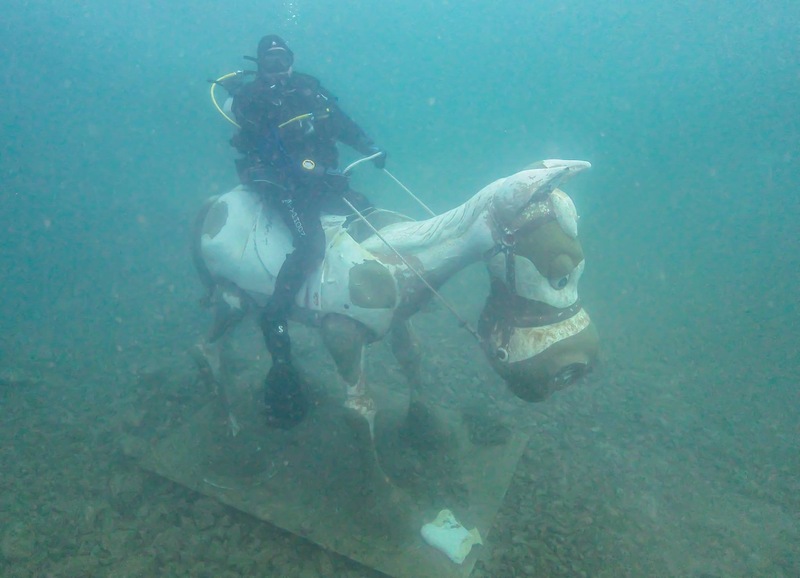 The photo is of me astride the horse at Capenwray on completion of my open water Qualification October 2016. 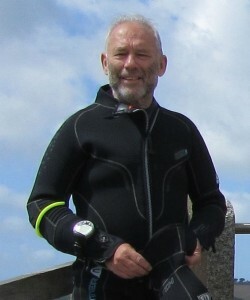 A very a proud moment, in my mind quite a achievement in my new and unruly dry suit. I have enjoyed the learning process of diving immensely with Hotch and Vic of Stellar Divers holding my hand the whole way, sometimes literally. October 17 saw me back at Capenwray as a master Diver , still not quite got the unruly dry suit under control at all times. But Scuba diving should come with warning ⚠️ that you may find yourself meeting a lot of great people of all ages and backgrounds and have to travel the world with them , enduring endless hours of being on beaches or bombing about in boats or even having to laugh and drink or take the p**s or have it taken. The next course I’m going to do is the REHAB course so I will be able to go past a body of water without wanting to get in it and have a look round. But no rush to start it just yet! I first put diving kit on at the age of 5 and I fell in love with it but it was only around the age of 12 when I started diving more frequently. At the age of 12 I achieved my Junior Advanced Open Water and by the age of 13 I gained Junior Rescue Diver. I really enjoy diving because it teaches me new skills and helps build my knowledge around oceans and ocean life. I also think that when I go diving all of my worries go away and it is a great way to relax, meet new friends and have a laugh. 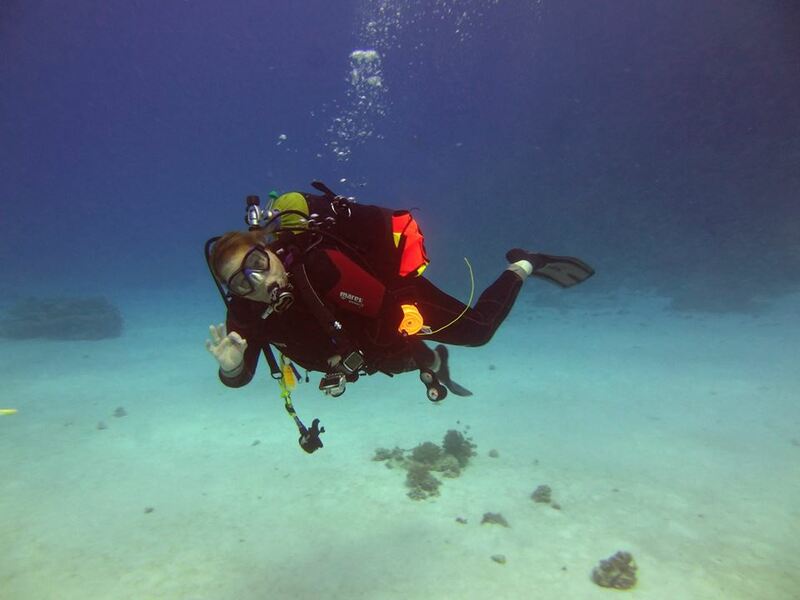 I have dived in Fuerteventura, Israel, Spain, Gibraltar, Taba and Sharm El Sheik in Egypt. I have also dived around the UK. My favourite dive was in Egypt when I saw a white tip reed shark, an eagle ray, a couple of turtles and an eel. I am Currently 14 with 50+ dives under my belt, I have 6 specialties which include: Peak Performance Buoyancy, Search and Rescue, Underwater Navigator, Nitrox, Underwater Photographer and Dry Suit. 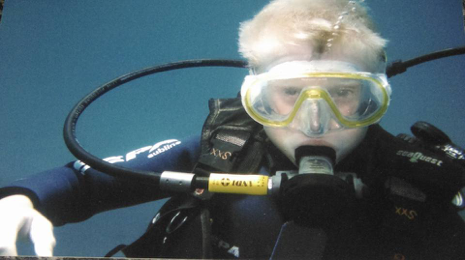 Once I am 15 I hope to do the Deep Dive and Wreck Dive specialities. Hotch, Vic and other staff members have made my journey very enjoyable but I couldn’t have made it this far without my Mum and I am very grateful. I can’t wait to start working towards my PADI Divemaster when I’m 18 and hopefully gain more experience as I dive more. When I go through my Dive Master course I want to try and help other people learning new skills and watching them gain in confidence. 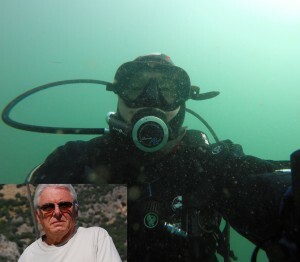 “I came to diving after retirement; passing my Open Water plus Drysuit specialty with Stellar Divers in March 2015 at Capernwray – aged 61 with snow on the hills and 4 degrees in the water! Despite the icicles on my nose I really caught the diving bug and have already dived in several parts of the UK, Holland, Greece, the Azores and the Canaries adding PADI Deep, Nitrox, Peak Performance Buoyancy, Navigation, and Wreck specialties plus Rescue Diver certification during 80+ dives within the year. Petra grew up in Holland where as a child she developed a fascination with clogs, having amassed a collection of around a thousand she turned her passion to bulb growing. Modesty prevails; Petra will not mention this but she produced a hybrid bulb known as the Pertonella Maximus Polluxitium, it has a beautiful blue flower that blooms in the spring and oddly has a neoprene aroma! Petra packed her clogs and leaving Holland with a bag full of bulbs headed for the UK in a rowing boat. In a soho bar and over a Guinness and bag of pork scratchings Petra saw an old episode of “Voyage to the bottom of the sea” with a clog wearing giant octopus in it, that was that, she was now hooked into diving. Petra leaned to dive several years ago and driven by her passion to meet a giant clog wearing octopus soon progressed through the ranks with Stellar. 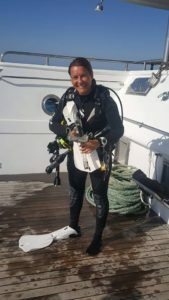 After a short period on the run from the Dutch Bulb police Petra returned and assuming her new identity and now with a Master Scuba Diver certificate engaged herself on the Divemaster programme. After successfully passing the course Petra now teaches & helps out at Stellar Divers. Petra is waiting to meet you to give you her expert dive/bulb growing advice. 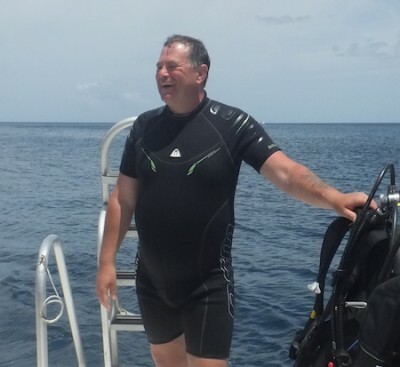 I found my love for diving August 2014 when on a holiday in the Caribbean, after the try dive I wanted to take the Open Water so that I could do more dives. Mum and Dad thought I wouldn’t carry on when back in England, but how wrong were they! So from the Caribbean sea to Capernwray I knew that scuba diving was for me and so I joined Stellar Divers. 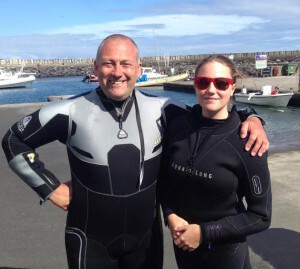 Both Hotch and Vic have taken me through my specialities and rescue course but more recently I was lucky enough to go to the Azores to do my 50th dive with Hotch qualifying me for my MSD two days before my 16th birthday. I’m only one year into diving and hopefully got many more to come. I started diving with Stellar in 2012 and I haven’t looked back since. I loved scuba diving from the first moment I got into Open Water. I soon progressed to Advanced Open Water & securing some diver specialities along the way I became a PADI Rescue Diver in 2013. I completed my 50th dive with Hotch in 2015 and completed my Deep diver & DPV specialities to become a PADI Master Scuba Diver. I can’t wait until I’m 18 so I can progress to Divemaster. 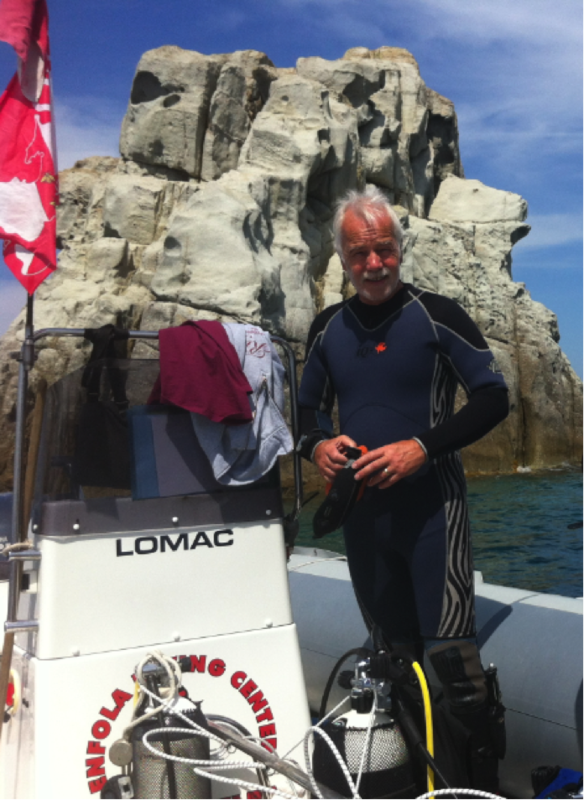 We started diving in Sumer 2012 and have been hooked ever since. We had dived in UK and extensively abroad before we decided to expand our diving skills and do many a range of specialities with Stellar, ultimately becoming PADI Rescue Divers in 2014 & PADI Master Scuba Divers in 2015. Our passion for diving and enjoying holidays works hand in hand and we look forward to many more warm and cold water dives both here and abroad. We have recently tried our hand at Re Breather diving, now the was fun 🙂 Watch this space. We look forward to seeing you in the water somewhere soon. 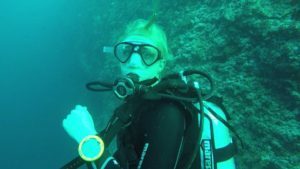 I started diving 11 years ago and have now logged over 300 dives- always looking to reach new milestones! I remember my try dive – I thought I was James Bond –haha! Having spent a lot of time cold water diving in UK waters, inland sites, South coast, Scapa Flow, Anglesey etc., I really enjoy the warm water dives. Portugal, Spain, Malta, Italy (awesome site near Elba!) Croatia, Greece and now the Azores! Hoping to get a bit further afield… Hotch and Vic have made this qualification possible and really added to my experience and knowledge – very much appreciated. 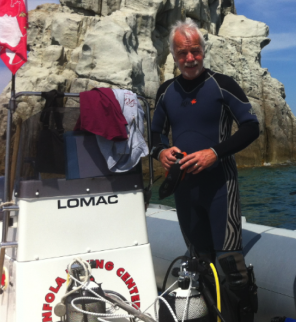 I started diving just a year ago at the age of 66 and must admit to feeling my age sometimes with a 15 litre cylinder and a pony bottle on my back. While I am pleased to have reached this level with around 70 dives, it is only now that I feel, with Simon’s help, that I am actually improving my skills and understanding what I am doing. I dive with the Nautical Archaeological Society which I would recommend to anyone who is interested in wrecks and understanding our underwater heritage and moving forward I am interested in the more technical aspects of diving. But it is all an excuse to dive really, because whether it is in a wet suit in the warm or in a dry suit in the North Sea, I just love being in the water. I have been intrigued by whats below the water for years, In 2011 I decided to have a go at scuba diving. Stellar has taken me from the first nervous pool session (can I breath under water?! No way :-)) all the way to proudly achieving my MSD in July 2014 at stoney cove. As for the sea life, I will never tire of seeing it up close and personal. With Hotch, Vic and the team it’s been a fun filled experience that has given me so much confidence. MSD now, next year hopefully PADI Divemaster. 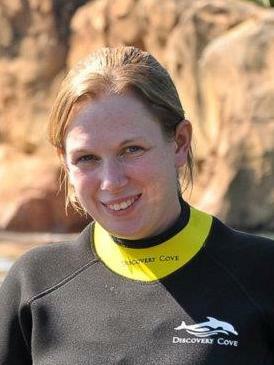 I have been diving about 3 years with nearly 100 logged dives and was one of Stellar’s very first students. 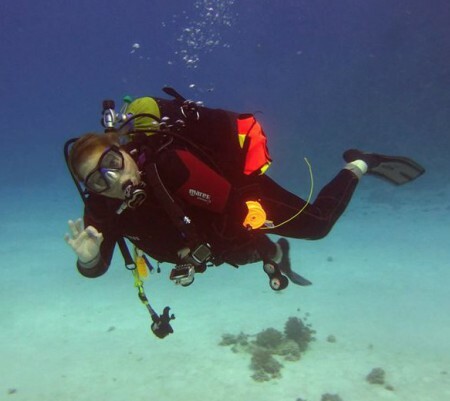 Under the tuition of Mr Hotch, I completed my MSD in the warm clear waters of the carribean although I don’t mind diving in the UK in the summer months I much prefer warmer waters (I don’t like the cold). I have just completed my 6th speciality and hope to maybe start my Dive Master course in the near future.